Tolland County Mutual Aid Fire Service remembers North Coventry Volunteer Fire Department Firefighter/EMT Charles D. Myshrall. 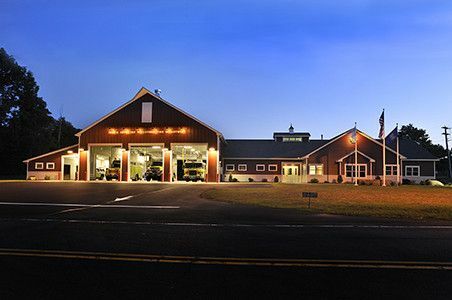 On February 26, 2009, the North Coventry Volunteer Fire Department lost one of their own from surgical complications following a leg injury that was sustained after Firefighter/EMT Myshrall slipped on a driveway at the scene of an emergency incident. Firefighter/EMT Myshrall was transported to the hospital. Surgery to repair his leg was conducted on February 5, 2009. 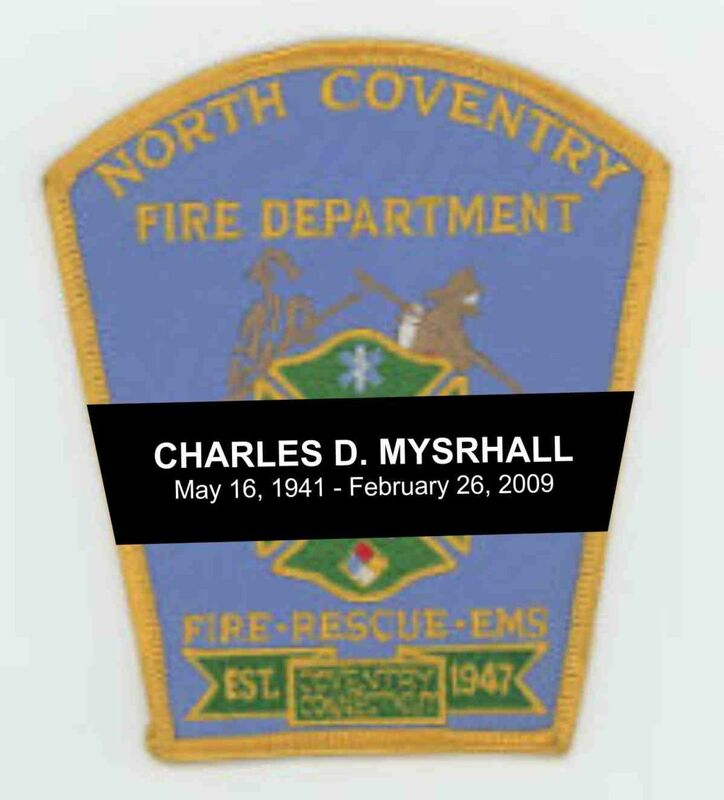 Firefighter/EMT Myshrall died on February 26, 2009, as he recovered from his surgery. The cause of death was a blood clot in his lungs (pulmonary embolism). Denny joined the North Coventry Volunteer Fire Department in 1983 and was a member for 26 years. He is remembered for serving the department as firefighter‚ emergency medical technician‚ EMT instructor‚ and treasurer. He was ‘Firefighter of the Year’ for 1987-1988. He loved doing fire prevention with the kids in town and he was a great mentor to the junior members of the department. Denny was born May 16‚ 1941‚ in Marlboro‚ Massachusetts. After graduating from high school‚ he joined the Air Force and enjoyed traveling the world. He kept in touch with many of the folks he met and served with. After his tour of duty‚ he attended the University of Massachusetts‚ where he met Sue‚ his wife of 40 years. At UMass‚ he was active in APO‚ a service fraternity. After UMass‚ Denny joined Aetna Life and Casualty Insurance Company in Hartford as a computer programmer. He and Sue married and moved to Coventry and raised their family. Denny was active in the Coventry community. He assisted with his children’s sports teams. He and his sons enjoyed Boy Scout activities. He continued being the charter representative and an adult leader with one of his adult sons. 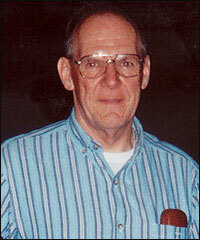 He was a communicant of St. Mary Roman Catholic Church in Coventry and was involved in many ministries and committees. After retiring from Aetna‚ he was a part-time clerk at a post office in a neighboring town. Information is courtesy of Chief Ray Eldridge, FEMA Firefighter Fatality Reports and the National Fallen Firefighters Foundation.